Clay McDowell was selected by the Autism Society to be featured in About Town’s Trailblazers October 2018 issue! 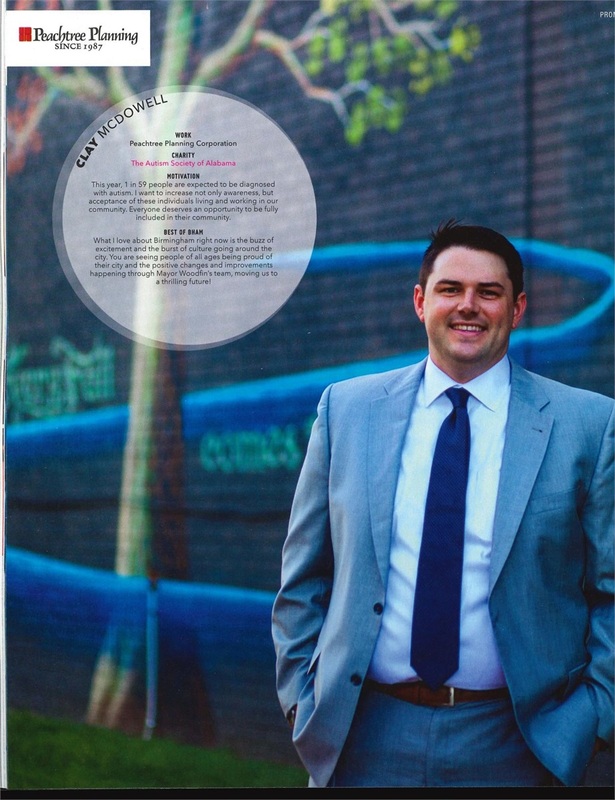 He has been recognized as an amazing young professional making a difference in the community! About Town is THE young professional magazine in Birmingham spotlighting local charities and spotlighting the young professionals behind these charities. Clay even made the front cover! Peachtree Planning is proud to recognize Clay for this most deserving honor!